Digital Cosmetic Tattooing Machines with proven reliability and performance. Amiea Control Pen Red Examination Light, perfect tool for assessing pigment depth related issues. Minimum quantity for "Amiea Vytal - Module (Creatip Twist)" is 8. Symphony 3 is perfect for those who want a combination of portability, clinical styling, robust aluminium frame and simple functionality. 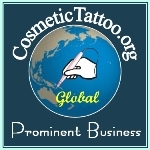 Coving your Cosmetic Tattoo handpiece hygienically to help prevent fomite mediated cross contamination risks and to decrease handpiece slippage during use. 1 - A guide to selection of your Creatip Needle Modules & needle penetration speeds for different procedures with your Linelle Supreme. 2 - A single page quick reference guide to the Amiea Pigment Colours for different procedures. Needle Depth Gauge capable of measuring in increments of 100microns (0.1mm), no more guessing your needle depth. Check if our Needle Cartridges are Compatible with Your Hand Piece. Creatip (1/4 turn bayonet fitting) for Linelle Supreme classic hand piece. Creatip Twist (full turn twist on fitting) for Linelle 1 & 2, Facile, Symphony. TPA (click on fitting) for Sense & Precise Hand piece. Minimum quantity for "Single Needle Cartridge for Compatibility Testing" is 1. Used to cover your hand piece and cord helps to prevent contamination of your hand piece during a procedure and reduces the chances of cross infections. The sleeve comes in convenient approx 120cm lengths and 20 sleeves per pack. Used to cover your hand piece and cord helps to prevent contamination of your hand piece during a procedure and reduces the chances of cross infections. The sleeve comes in convenient approx 60cm lengths and 20 sleeves per pack. For Fine hairlines, eyeliner, eyelash enhancements. Minimum quantity for "Twist Cartridge for Symphony, Facile, Linelle 1 & 2 - 1-liner" is 10. Minimum quantity for "Twist Cartridge for Symphony, Facile, Linelle 1 & 2 - 1-micro" is 10. Minimum quantity for "Twist Cartridge for Symphony, Facile, Linelle 1 & 2 - 3-liner" is 10. For Eyelash enhancements, soft lip contours, eyebrow enhancements/shadowing. Minimum quantity for "Twist Cartridge for Symphony, Facile, Linelle 1 & 2 - 3-outline" is 10.